MARVL Cruising Dictionaries > What is RAD05, RAD05-A and RAD06 ? When considering a MARVL (Method of Assessing Recoverable Volume by LogType) inventory for pre-harvest or mid rotation style inventory there are 3 common templates using in New Zealand. These being called commonly as RAD05, RAD05-A and RAD06. So what are these? How do they differ? How are people implementing them? Common to all is the inventory headers from population down to tree level, with only minor variations at the tree feature cruising level. This way each stem feature domain is consisted independent of the dictionary used. It also reduces the complication of final cutting strategies over time. Is important to note that the variations called RAD05 or RAD06 are not a domain in the YTGEN sense of the word. It is a “cruising dictionary template”, meaning it is a collection of domains that are, by convention, often used together. But they don’t need to be used together always. How are people implementing them? Has there been done any inventories before, if so check which template or MARVL dictionary has been used. 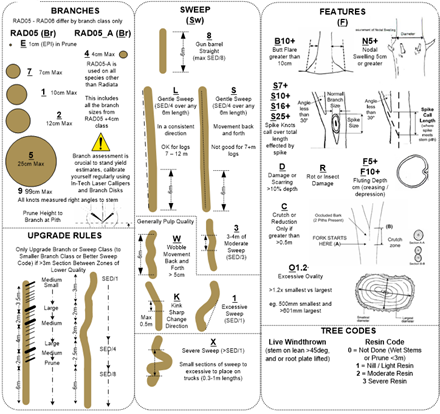 An inventory should represent the forest, to be able to do this each tree has to be described as close to reality as possible, if they are small branched consider using RAD05-A or RAD06. 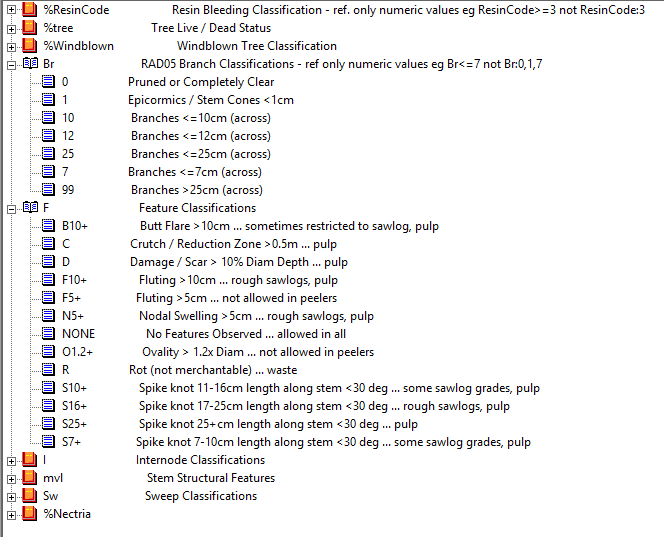 Generally RAD06 is commonly used for minor sawlogs species in NZ and Australia. YTGen and branches codes, what to be aware off! When processing the data in WTGen users should be aware of the difference which has to be applied to the cutting strategy to get an accurate result. How does YTGen handle a mix in branch codes? 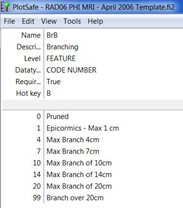 If the correct branch code is not used e.g. miss match between template and conditions in cutting strategy, it would affect output since grades will be skipped when processed, hereby falsifying the end-user yield result. 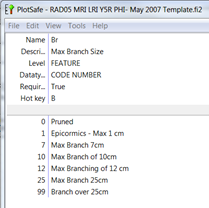 Determination of what Branch code is used can be determinate in either the plotsafe file or in YTGen population file. For above RAD05 have been used. 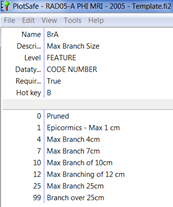 So if the output file is not showing any results, one of the first checks to do are to verify which branch code is used. If you want more information about using Plotsafe/YTGen, feel free to contact us via our feedback form.